Sand and wheelchairs may not go together, but sand, wheelchairs and an amazing pony and carriage really do! Meet Simon and his pony Obama. They made magic happen on Perranporth beach for Adam and for several other children. We live relatively close to some of the best beaches in the country but have not been on them in years. Because it is hard. Although “hard” barely even begins to express the situation. We can help Adam use the toilet at home before getting in the car to drive to the beach. Then we need to find a space large enough for our vehicle, with space behind to safely get the lift down, before pushing his wheelchair across often difficult ground to reach the beach. Unfortunately we might not have much time at all before we need to go home because Adam will need the toilet. Only one beach in Cornwall has a Changing Places toilet near it but that beach is too far to easily travel to. And getting a wheelchair across sand is seriously difficult. When he was smaller I would carry Adam and someone else would carry his chair. But he is now 10, with spinal rods and joints which dislocate. And I am not as able as I once was. Which is where a fantastic charity in Cornwall came in. Cornwall Accessible Activities Programme already do some fantastic things for disabled children in Cornwall but they realised that there was so much more which could be done to help those with similar needs to Adam. They wanted to make sure that their charity was setting the highest standards possible. They asked what was needed. They asked for ideas of what could be done. They hired a mobile Changing Places toilet, the Mobiloo, and arranged for it to come to Cornwall for three days so that families could enjoy the kind of everyday fun which most of us take for granted. They arranged a day at the zoo, a day at the beach and a day at a railway attraction. This facility is what made all three days out possible. Without this, we would not have had these days out. But sand and wheelchairs still don’t mix well. The solution was pony power, via Pony Axe S.
Saying “hello” for the first time. Obama the pony could go over soft sand, wet sand, through the huge pools and straight into the sea. And he made it look easy! The carriage is incredibly safe. If the user is worried at any point they can pull a cord and disconnect from the pony instantly. Likewise, if Simon thinks the pony is worried or sees something which could scare him, he can disconnect immediately. I would not want my son using any other carriage. This one is amazing. Two of my favourite photos from the day. Adam was so thrilled for his grandparents to share the moment. Just looking at each other – magical! I am usually the person working hard to make fun happen, but this time I could watch, walk next to Adam and talk to him. We could look at each other and enjoy it together. Without me being exhausted from helping to make the fun happen. And it was just wonderful to watch him tell his grandparents all about it and for them to watch him having fun without having to see me struggle. Such precious moments which only happened because of the mobile hoist assisted toilet. Without access to a toilet, we would not have been on the beach at all that day. Without access to that hoist assisted toilet look what we would have missed. The carriage bumped gently over uneven sand and gave the most amazing experience when they raced through the sea. 11 seconds of pure heaven. Being in the sea is one of the simplest pleasures enjoyed by most children in Cornwall. Over the last few years Adam has endured big several surgeries which all carried a high price for him. The recovery has been hard each time and he has to work very hard to do things which are easy for most of us. Now he is older, he struggles to accept the things he cannot do. Some days he is unbearably sad as he tries to cope with things. And this was probably the best day Adam has had in several years. He smiled and laughed all day. He giggled in delight, told the pony where he wanted to go, and how fast! He was able to just be a child. And I wish I knew when it could happen again. I am so thankful to Simon, Obama, Mobiloo and Cornwall Accessible Activities Programme for all working together to make this day possible. Also to Jane and Donald who kindly provided a stable and field for Obama as well as a room for Simon, despite never having met him before. Cornwall really does have some wonderful people. Previous: Previous post: Thank You, Dear Zoo. Next: Next post: What Is A Mobiloo? Thank you. It was an amazing day. These facilities need to be everywhere. It was a magical day , thank you for organising it. It was lovely to see how excited Adam was on his pony ride that we saw on spotlight news that evening . I had just as much fun watching Adam as he had riding in the surf. I was laughing so much I had tears of joy, seeing Adam so excited made me cry. Big softie maybe, but I wasn’t the only grandparent to have an emotional moment. Thank you CAAP. Wonderful! Adam’s computer gaming friend, Jonas, has just watched these clips and saw the photos and smiled saying ‘Oh yeah’! I’m amazed seeing Adam even going into the water, excitedly! Thank you. It was the happiest my son has been in a long time. He loved being on the beach, in the sea and moving with a bit of speed. Yet, without the mobile Changing Places toilet none of it would have been possible. This has made me smile so much. Firstly that toilet is amazing and secondly the pony, awww! I am so pleased Adam has had some fabulous days out. 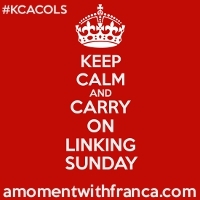 Thank you for linking up to #KCACOLS we hope you join us again next time. I love love love this post! Adam looks sooo happy.